Fitness Nutrition Center is our Chamber Ambassador Surprise Cookie Patrol Chamber Member of the Month. They are a Health food store that offers Vitamins, Minerals, Herbs, Sports Nutrition, Gluten Free Foods, Essential Oils, Personal Care Products. Health food menu. They did it right by having a Drive thru! Stop in and Say Hi to Chris, Tracey and the Gang and put your name in the Cookie Jar by April 9th To get a wonderful prize. 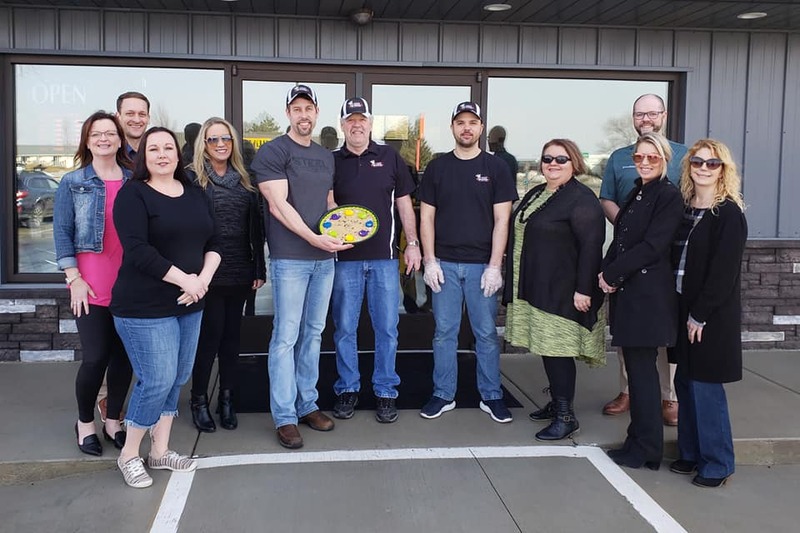 Pictured above, Melissa Even, Trent Henning, Dawn Mulligan, Jessica Bystry, Owner, Chris Isely, a couple of rugged employees, Lori VanNatta,Val Johnson, Todd Huebler and Marcy Brayko at Fitness Nutrition Center, INC.